The weather over the past few days has been, to state the obvious, highly unusual. 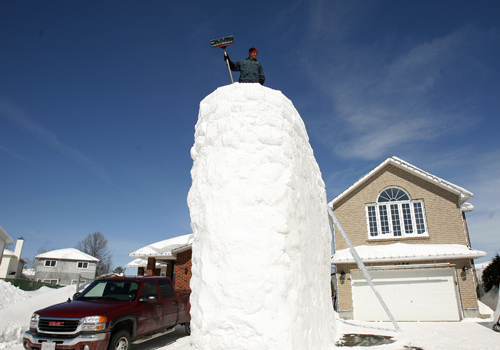 A record-setting heat wave has brought summer to Ottawa in the final days of winter. While some fret about the latest evidence of global climate change, most have shed their winter jackets and toques for tank tops and flip-flops. Not so this year. Sure, we still have some snow on the ground (which people in Southern Ontario will find odd). We also had temperatures in the mid-20s, which led to a memorable sight on Sunday afternoon. 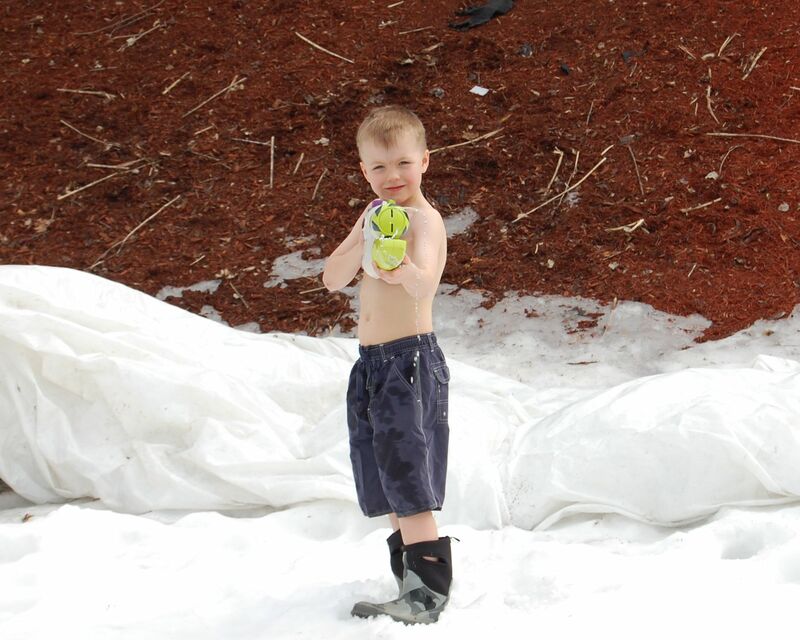 Yes, that’s an honest-to-God water fight in the snow. 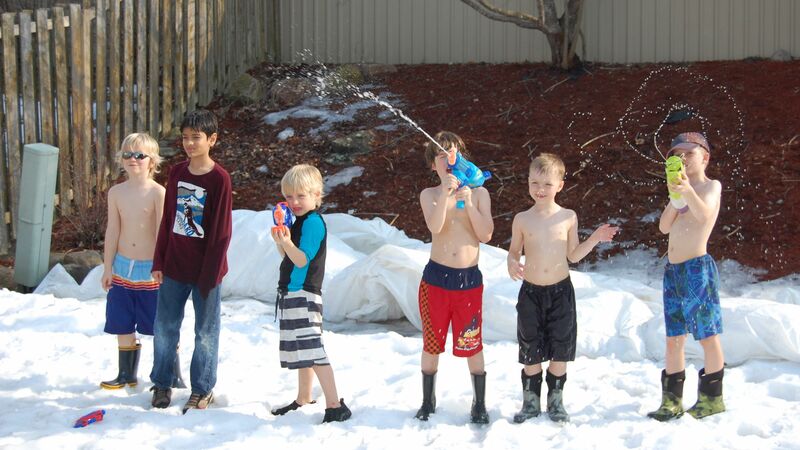 Take a few boys, add some bathing suits, rubber boots, water guns, and snow, and you have the makings of a memorable afternoon. I think we’ll be talking about this for years to come. K quickly forgot the cardinal rule of water fights – Don’t Get the Parents Wet. 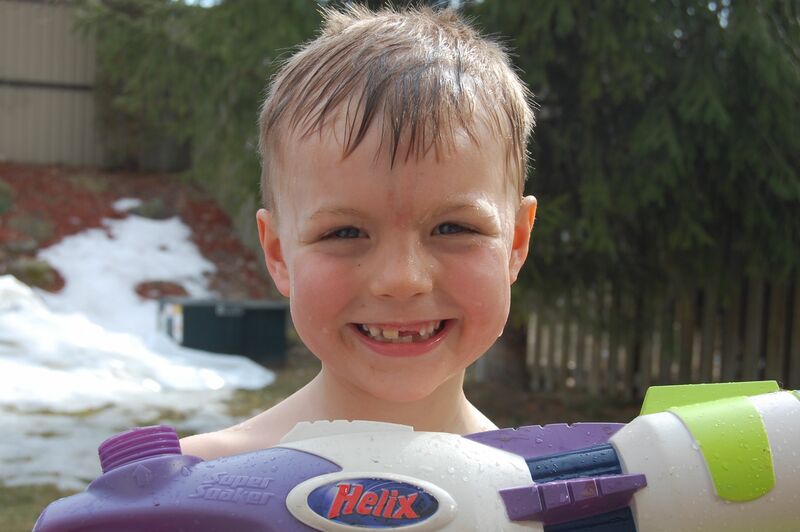 Nothing makes a six-year-old boy happier than a loaded water gun.